Just two ounces of Stan's in a converted standard tire or tubeless tire can repair punctures up to 1/4" almost instantly to keep you rolling. 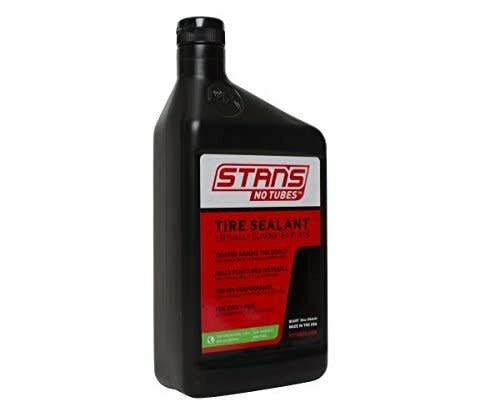 Longer-lasting Stan's Tire Sealant is formulated to stay liquid in tires with even thin casings for up to seven months. Arid conditions require more frequent monitoring of sealant levels, but anti-freezing agents in our special formula allow Stan's Tire Sealant to be used in temperatures as cold as -30° F.